iPhone 4 found at bottom of Kyle Lake in Western Pennsylvania. Smartphone makers these days are quick to emphasize the capacity of their technology to survive exposure to liquids, since people are naturally clumsy and durability often beats the bells and whistles. Check out Lil Wayne pouring champagne on his Galaxy S7 and then taking a call. Not to be outdone, Apple's iPhone has apparently shown impressive water resistance going back to the iPhone 4, which debuted in the summer of 2010. 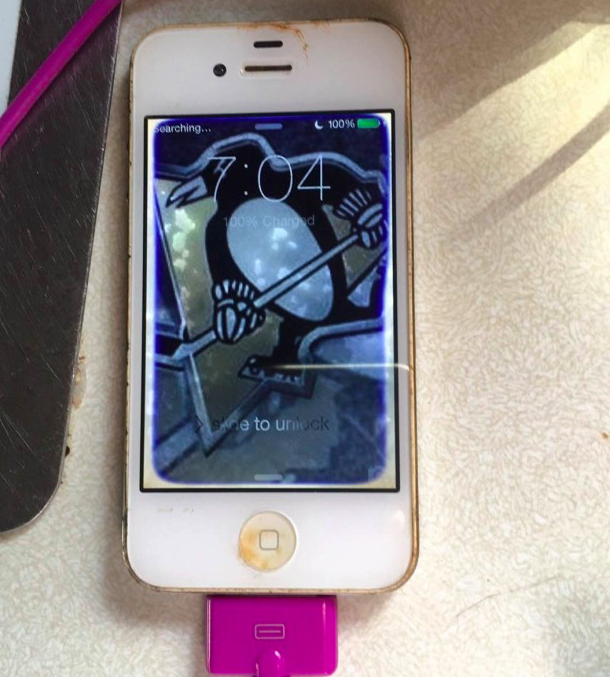 According to BuzzFeed News, a man who lost his iPhone 4 while ice fishing in March 2015 miraculously got it back after a western Pennsylvania lake was drained. Due to structural deficiencies in the dam at Kyle Lake in Falls Creek, the popular fishing site was emptied for repairs. 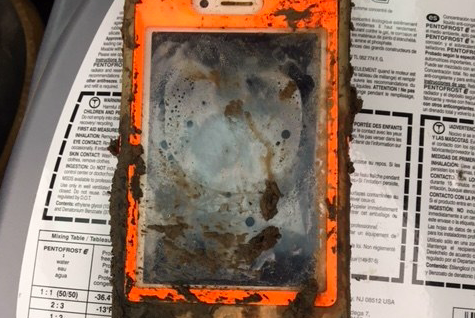 When mechanical engineer Daniel Kalgren visited the dried out lake bed to hunt for treasures with his metal detector, he found a muddy iPhone that looked dead to the world. Out of curiosity, Kalgren took it home, cleaned it and left in a bag of rice. Two days later, it started working. He set out to find the owner. IPhone 4 works after rediscovery. “It was the only thing I found that day," Kalgren told BuzzFeed News. "I was able to turn it on and use it to look up his number. He knows I have it now, and I’m going to mail it to him." Michael Guntram, the astonished owner, took Kalgren's phone call and said he's now planning on giving the phone to his mom. For what it's worth, Apple's iPhone 7 is considered among the most water resistent smartphones on the market, although liquid damage isn't covered in the one-year limited warranty. The company wouldn't outright encourage pool partying with your phone, but if it happens to get splashed, there's a good chance it won't be much worse for the wear.